Beta Alpha Psi – The organization also sponsors Student/CPA Night with the Louisiana State Society of CPAs. Participants at student night get to meet employers and exchange contact information. 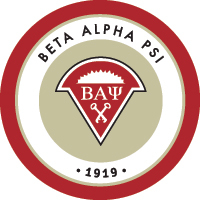 Beta Alpha Psi members also participate in professional workshops during the semester and offer tutoring to Accounting 205 students. an overall GPA of at least 3.0 or GPA of 3.25 or better on the most recent 30 hours.